The University of California, Santa Cruz, has appointed Darrell Long, professor of computer science, to the Kumar Malavalli Endowed Chair in Storage Systems. Long is the first faculty member to hold the endowed chair, established in 2004 with a $1 million gift from Kumar Malavalli, cofounder of Brocade Communications and cofounder and CEO of InMage Systems. Long directs the Storage Systems Research Center (SSRC) at UCSC and also serves as associate dean for research and graduate studies in UCSC's Jack Baskin School of Engineering. He said the funds from the endowed chair would provide support for research, graduate students, and other activities of the SSRC, a leading center for research on data storage and storage systems. "I see this endowment as recognition for the excellence of the research conducted by the SSRC as a whole. The center will benefit greatly from having this permanent source of support," Long said. The mission of the SSRC is to improve the performance and profitability of the data storage industry through a strong focus on the software and systems aspects of data storage. Research in the SSRC focuses on caching, storage systems hierarchies, peta-scale storage systems, distributed storage systems, and security and performance. Data storage technology has come to play a crucial role in modern society, as everything from business information to medical and financial records for individuals is stored on computers and must be available for efficient and secure access. The sheer volume of digital reference data that must be stored and accessed is increasing dramatically. Data storage makes headlines when criminals break into databases and obtain the personal information of thousands of people. But security is just one of many technical challenges in the area of storage systems. Malavalli has made major contributions in storage systems and storage area networks. He was for many years the chief technical officer of Brocade Communications, the leading provider of storage area networking infrastructure, which he cofounded in 1995. He is also one of the principal architects of Fibre Channel technology, a high-speed data transfer technology used in storage networks. In 2003, Malavalli was inducted into the Silicon Valley Engineering Council Hall of Fame for his contributions to technology. Long's appointment to the Malavalli Chair is for a five-year term. He has an international reputation as a leader in storage systems research, with more than 120 research publications and numerous patents related to storage systems. Long has broad research interests in the area of computing systems, including operating systems, distributed systems, high-performance storage systems, fault tolerance, performance evaluation, and mobile computing. His research is supported by the National Science Foundation, the Department of Energy, and other agencies, as well as by various industry partners. He has received an IBM Faculty Award and several IBM Research Invention Achievement Awards. A senior member of the Computer Society of the Institute of Electrical and Electronics Engineers (IEEE), Long served as chair of the society's Technical Committee on Operating Systems and now serves on the Executive Committee. He is a member of the Association for Computing Machinery and serves as chair of the Scholars Committee for the Usenix Association. Long earned a B.S. in computer science from San Diego State University and M.S. and Ph.D. degrees in computer science from UC San Diego. 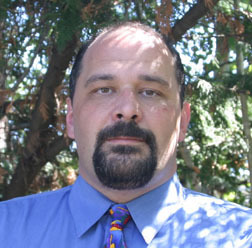 He joined the UCSC faculty in 1988.